National Capital Chapter (NCC) Chapterfest 2019, May 11, 2019 at Summit Point!! Chapterfest 2019 will encompass everything we do as a chapter. There will of course be a HPDE on Summit Point Circuit (Main), Mike Renner from the BMW Performance Center will be doing Hot Laps and an Autocross course on the Washington Circuit will feed your inner speed demon. For those inclined to tinker, there will be DIY demos of a track oriented nature, along with a DIY lounge for a quick rest. A People's Choice Car Show will take place in the afternoon to show off your pride and joy. There will be a Chapterfest Tour originating at BMW of Sterling driving some wonderful twisty roads before breaking for lunch at Bavarian Inn before continuing on to Summit Point Motorsports Park in time to join us for the Chapterfest Dinner. Add to this your attendance and Chapterfest 2019 will undoubtedly be an enjoyable and unforgettable day. Mark May 11 on your calendar now! Chapterfest 2019 will not disappoint. You're welcome and encouraged to come out and participate, spectate, ask questions, meet new club members, make new friends and have a great time! The cost to attend Chapterfest is $5 per person. However, if your total registration is $50 or above please use the discount code "CFReg" at checkout to receive $5 off. NCC Hot Laps, May 11, 2019 on the Main Circuit at Summit Point!! Want to experience what it’s like to lap the Summit Point Main Circuit? Your chance to ride shotgun for 2-3 laps in a F90 BMW M5 with Mike “Schnell” Renner to experience Summit Point Main Circuit at speed! Sign up for Morning, Lunch, Afternoon or Evening sessions! Loaner helmets will be available. The cost for hot laps is $10 per person. NCC HPDE, May 10-12, 2019 on the Main Circuit at Summit Point!! Welcome to our annual Summit Point Main Circuit HPDE at Summit Point Motorsports Park sponsored by Craftsman Auto Care. This event is open to all run groups/skill levels with the usual 4 track sessions per day (including exercises), skidpad training, and classroom sessions. As you have come to expect, we provide a lot of track time, top-notch instructors, and an abundance of fun! NCC DIY, May 11, 2019 in the Main Paddock at Summit Point!! During ChapterFest the DIY Committee will be demonstrating various track related DIY tasks under our white DIY canopy. We've limited these to safe jobs because of the tiny fingers that may be nearby. However we will require that parents keep close supervision on any children 90 and under that may observe. As with our normal DIY events, the purpose of these demos is to learn and practice proper maintenance and repair techniques that you can routinely complete. We are happy to show newcomers the joys of working on your own car. Come observe and maybe get a little grease on your hands! NCC Chapterfest Tour, May 11, 2019 through Virginia and Maryland Backroads to Summit Point Motorsports Park!! Join us for a relaxing Midday Tour through the Virginia and Maryland Countryside. We will meet at BMW of Sterling at 10, no need to get up at the crack of dawn for this tour! Then hit the road at 10:30 drive some winding backroads and stop for a group lunch at the Bavarian Inn. Then after finishing up there we will make the short drive over to Summit Point to join up with the rest of Chapterfest around 3 PM. This should leave you time to do evening hot laps and attend dinner. The cost for the tour is $10 per vehicle. NCC Autocross, May 11, 2019 on the Washington Circuit at Summit Point!! CHAPTERFEST AUTOCROSS WILL BE A MEMBERS ONLY EVENT! You are required to be a BMWCCA member to participate in the 2019 NCC Autocross Points Event #2 to be held during Chapterfest. All Day Session (Online Registration Only! ):: $55.00. HPDE Participants Session (Online Registration Only!) 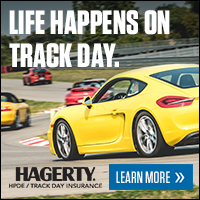 (HPDE Participants only! ): $50.00. NCC People's Choice Car Show, May 11, 2019 in the Main Paddock at Summit Point!! The People's Choice Car Show is open to all Chapterfest attendees. Registrants' cars will be assigned a number, and registrants and attendees will vote for cars in six categories. Winners of the six classes will be decided by ballots cast by fellow chapter members in attendance. Winners do not need to be present to win. Cars need to be in place and ready to by judged by 2:00 PM. Judging will end at 5:00 PM with awards presented at approx. 5:30. NCC Chapterfest Dinner, May 11, 2019 in the Main Paddock at Summit Point!! A BBQ Dinner (catered by Famous Dave's) will kick off around 6pm. One BBQ ticket is included if you are registered for HPDE. BBQ tickets may be purchased for non-HPDE participants, family and friends.